The surge in mobile bistros has given rise to the digitization of eateries. Sure, plenty of savvy restaurants have had a virtual presence for years, with slick websites promoting their fabulous fare. But when the kitchen has wheels, the entire establishment becomes virtual – here one moment and gone the next. Connecting with repeat customers isn’t as “simple” as providing great service and offering outstanding value; that’s a given. An even more basic neccessity is providing would-be patrons a way to find them. Enter social media. Facebook, Twitter, and dedicated web sites like DenverStreetFood.com have sprung up to aid in the daily Where’s Waldo’s Food Truck hunt. Social media creates a fixed storefront for the mobile business. Everyone knows where to find Bambu’s Facebook page even if they haven’t a clue where the truck is. Jonesing for some sweets after our heroic display of willpower the previous day, we hone in on Pinky the Cupcake Camper. 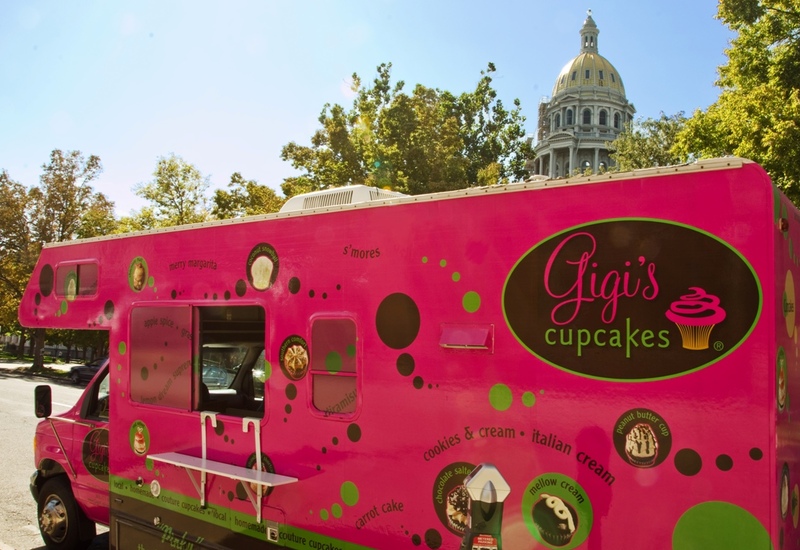 What could be more fitting for us than a renovated RV hawking one of our favorite treats in the world? Pulling up Pinky’s Facebook page we get the camper’s coordinates. We’re off. 17th and Market is about 15 minutes from our current location. Fighting traffic we make it there in twenty only to find – nothing. We park the car and look up Market and down 17th and discover the downside of rolling restaurants; they move. We also discover that stalking wily cupcakes is an underappreciated benefit of owning a smart phone. The words “Short Stop, Come Quick” loom large. We’re moments away from losing our quarry. Fortunately, we know where the Denver Capitol is from our visit the other day. We’re only about a mile North. We can do this. Tires squealing (not really, but it sounds good), we motor down 17th and turn on Grant. “I don’t see it,” Shannon says, moments before the boxy pink camper comes in to view. Pinky didn’t get away. We’d won the chase. Our prize? 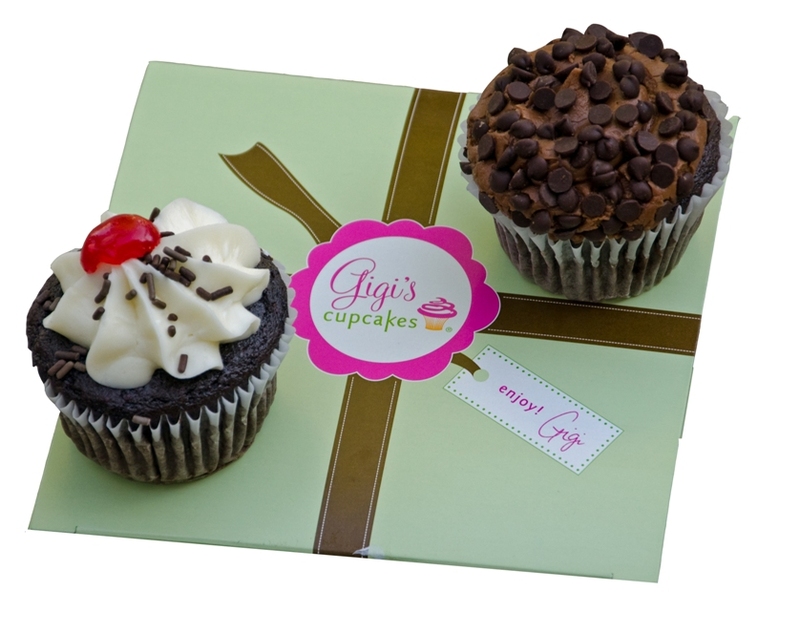 One Black Forest and one Midnight Magic cupcake – to go, of course. I absolutely love cupcakes. Don’t see any coffee flavoured ones, and that would really be a favourite! Coffee, espresso, cappuccino, and mocha are all cupcake varieties of which I am delightedly familiar. After traveling, and cupcake sampling, through two thirds of the country I can still definitively say that Crumbs cappuccino is my hands down favorite. I know they are a fairly large chain, but theirs are still the best cupcakes I’ve had anywhere.